Sometimes loss is greater than losing your umbrella on the subway, like losing your brother to suicide and then your partner breaks up with you in the same week. Between all-you-can-eat sushi, crying in the lamp aisle at Ikea, and finding herself at the bottom of a vodka coffee (it’s a thing) this sister journeys through the first year of bereavement laughing because if not she’s ugly crying. I WANT TO INCITE GREATER DIALOGUE ON MENTAL HEALTH FOR OUR YOUTH. 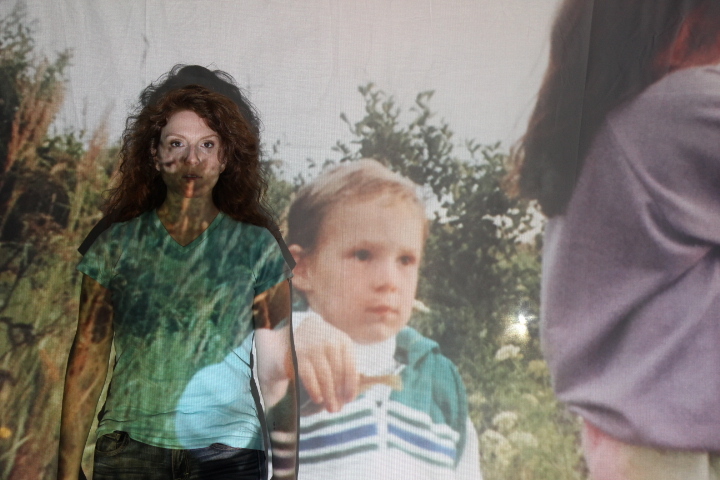 COMBINING LIVE ACTION AND A MULTIMEDIA DISPLAY, the show engages students in the real-life story of how I lost my brother Andrew to suicide, and my journey through the first year of bereavement. Andrew was twenty-two years old and had been dealing with depression since he was a teenager, unbeknownst to me and all others close to him. I created this play with the intention of helping young people who, like Andrew, feel alone in their struggles, in order to let them know there is hope. can also be paired with safeTALK, a 3.5 hour suicide safer certification workshop. This workshop helps the audience become empowered to recognize and engage with those who may be having thoughts of suicide, and how to find them help. EVERYTHING BUT THE CAT… IS TESTED AND PRAISED BY STUDENTS AND TEACHERS. EBTC has visited Sinclair S.S. and Port Perry High School where teacher reviews were unanimous: the show “packed a huge message” and was “excellent,” but the most valued feedback EBTC received was that students “talked about it for days” after, in and outside of classrooms. 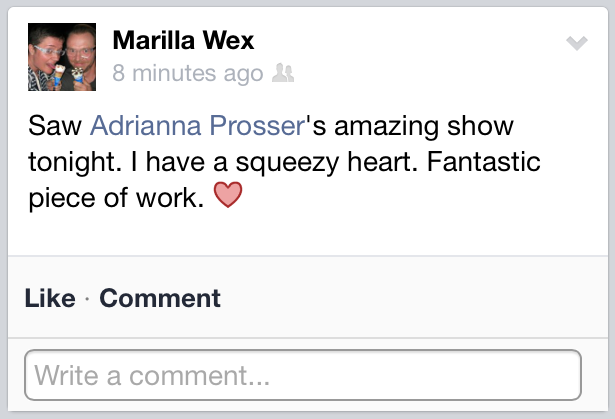 -Each performance gets a talk-back with the playwright/actress at the end of the show. 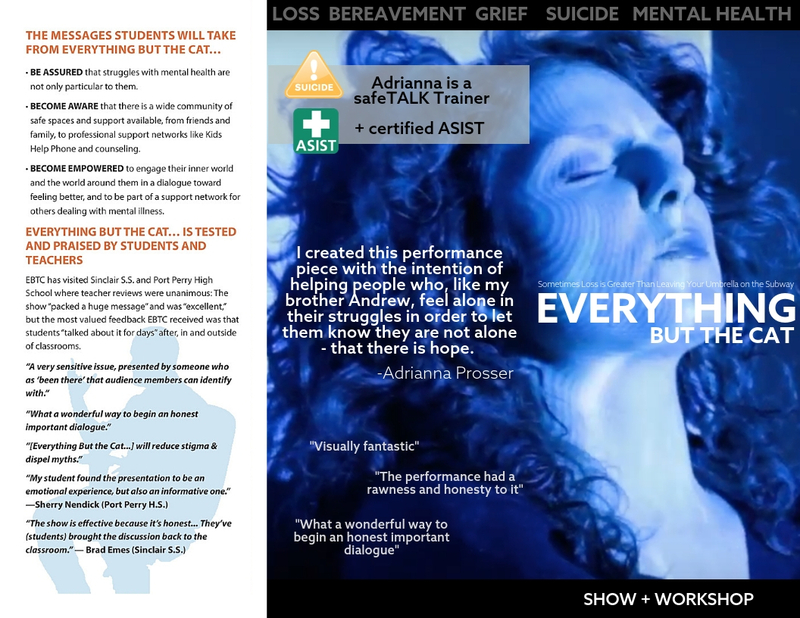 Learn more about the Workshop safeTALK here and combine it with Everything But the Cat… to empower the audience to be suicide safer in their community. Adrianna is a storyteller and safeTALK Trainer. She was the Resident Playwright for Gibson House Museum and Zion Schoolhouse from 2008-2012, where she produced her theatre-in-situ productions adapting Canadian history for modern audiences. Combining her Learning Through the Arts training, Applied Suicide Intervention Skills Training (ASIST) and safeTALK certification, she hopes to engage the audience and go beyond the stage and screen to creating a safe place for discussion and sharing. 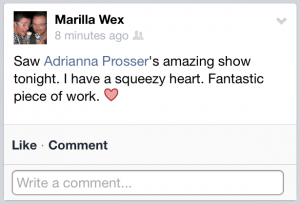 She is currently an Ontario Association for Suicide Prevention (OASP) member. Adrianna has shared her stories at CanStage’s Emerging Artist nights, Storytelling at Caplansky’s hosted by Marilla Wex, high schools and universities, Stories We Don’t Tell, All in your Head by Art with Impact, Confabulations, Raconteurs with Workman Art’s MyseumX Storytelling Event, XVZF Storytelling Night, Alumnae Theatre New Ideas Festival, and WonderFest, and CMHA’s Mental Health Conference for All 2017. Listen to the opening of her one-woman show by clicking here. Listen to her episode on the mental health podcast Stories Like Crazy. Listen to her talk about her process on Stories We Don’t Tell podcast. Stevie Baker is a producer, costume designer and stage manager. Internationally, she has worked with Kansas City’s MET and served as Artistic Director for the Daegu Theatre Troupe in Daegu, South Korea. Stevie is extremely proud to be the resident head of production, and primary costume designer, at her theatrical home Dauntless City Theatre. Favourite credits include directing Zora Neale Hurston’s Lawing and Jawing and A Streetcar Named Desire for the DTT. Recent productions include Lysistrata (how.dare.collective 2017 Toronto Fringe), The Winter’s Tale (Leroy Street Theatre), Out at Sea (Leroy Street Theatre) and Lakeboat (Unit 102). Stevie is ever grateful for her magical children Stella and Gilda.